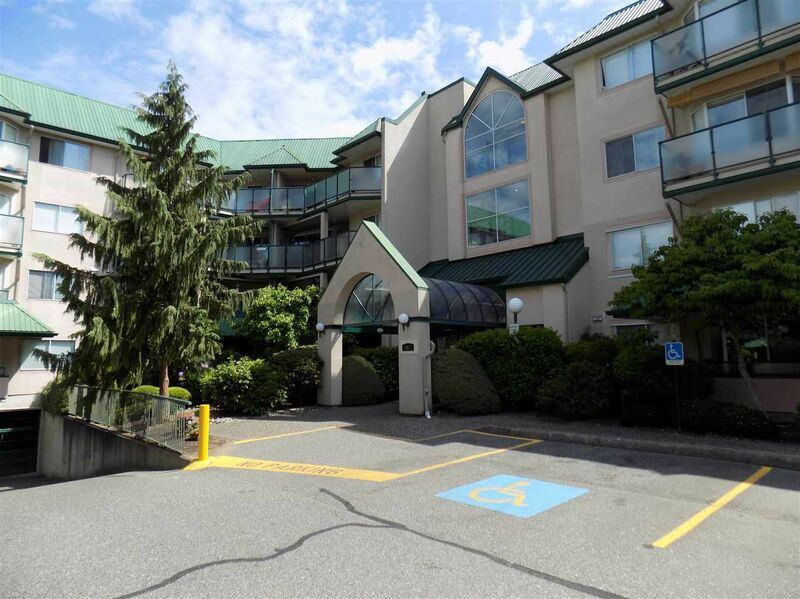 LARGE CORNER UNIT IN THE QUIETEST BUILDING IN THE COMPLEX! This Condo Truly Offers the Best Location in the Complex, as it's Situated in the Back of the Building in a Private Location. This South Facing & Extra Spacious Condo Gets Sun All Day & The Extra Square Footage Offers a Large Kitchen With a Super Sized Bay Window! Recent Updates Include: New Laminate & Tile, New Carpet, New 2" Blinds, New Paint & Crown Mouldings. Also Features a Large, Private Covered Deck & In Suite Laundry With Ample Storage Space. The Gas Frplc Easily Heats the Entire Unit. Quick Access to Parking Stall Located right below the unit. Gas Frplc, Heat & Hot Water Inc in Strata. Family & Pet Friendly Building Located Close to Shopping, Rec, School. AMAZING PRICE! CALL TODAY.